What's the story with the celebrity fragrance business? Here's an effort to better understand it and decipher the mystery of it's quiet marketing. There are some celebrities that have a fragrance line you've never heard of, but which is a huge seller in another country, and then there are celebrities who you wonder why they stopped promoting their new fragrances. Did they stop caring? The business of celebrity fragrances is not doing so well. I suspect, as a consumer and digital marketer, that it has a lot to do with A) over-saturation of the market B) weak marketing campaigns. Keep in mind, this post is not coming from a person who is a subject matter expert on the celebrity fragrance market, but I can address the marketing aspect of the business and my experience as a consumer. Also, I want to refer to the celebrity product in this post as fragrance because to be honest, the celebrity fragrances tend to not have the long lasting silage of a proper perfume. "While the Company had expected weaker sales comparisons due to the lower level of fragrance launch activity in fiscal 2014 versus fiscal 2013, the decline in sales of celebrity fragrances, particularly the Justin Bieber and Taylor Swift fragrances, was steeper than anticipated." The other side of this problem is the over-saturation of the market with celebrity fragrances, which has effectively inundated the market as well. There is no novelty or intrigue with celebrity perfumes anymore. There is a disillusionment in the market, that releasing fragrances is just a way to make a quick fortune for a celebrity. We now know they don't really wear their own product. We've also found that most aren't even worthy of being called a perfume. Most celebrity fragrances are made with ingredients that are cheap and smell synthetic. Worst of all, a lot of them barely last after a couple spritzes. The reason for a shift towards niche and designer perfumes is because they offer higher quality and an experience that isn't about a celebrity but about the consumer. "Ingredients will play a more central role," says Euromonitor's Senior Cosmetics and Toiletries Industry Analyst Diana Dodson. Perfume used to denote a premium product that lasted for hours and smelled divine. 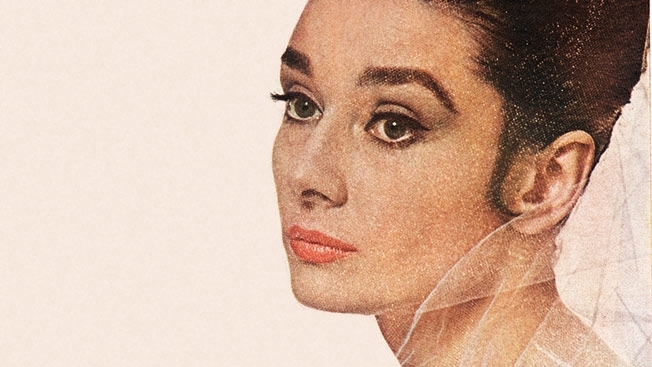 Wearing perfume has been a part of the feminine mystique forever after all. Another factor that I think is a problem for the celebrity fragrance market is how they are marketing and also how they are targeting teens more, rather than women 25 and older. As Rachel Abrams of the New York Times put it so well, "the world of celebrity perfumes has become more democratized as many companies have tried to target a younger audience." A consequence of this celebrity branding is that the companies behind the celebrity fragrances are losing brand prominence. How will the younger generations grow with Elizabeth Arden, if all they've known are perfume bottles that bear the name Britney Spears? This is a separate issue, and I don't mean to be picking on Elizabeth Arden, but they are the most prominent perfume house, and 75% of their sales come from perfume and celebrity fragrances. Their cosmetics mainly appeal to middle-aged and older women who are familiar with their logo and have the disposable income to spend. Their scents are chasing younger women by giving celerity brands the spotlight. They are targeting young women for the scents, but it would be more worth investing in their brand name again so as not to lose their prominence. Estée Lauder has done a better job in featuring celebrities in their prestige perfumes, building their brand's reputation with the celebrity partnership without losing face. Britney Spears is one of the most successful celebrity fragrance brands in the world. Her's is a perfect example of what is wrong with the marketing campaigns of celebrity fragrances. In the beginning, the celebrity has a big launch with press conference, commercials that run on a regular schedule reaching the entire global audience, posters, ads in magazines, everywhere! After the first couple of fragrances, there isn't the press conference, there isn't a commercial, and the only way you find out about the fragrance is you follow a fan site or social media feed, or you see it pop up at one of the stores you frequent. That's really weird, it's mysterious. Maybe it's to cut on cost or maybe it's that the celebrity's team found that their brand is so strong that sales will be excellent even without a marketing campaign. There is truth to that because after all, the thing that initially drew women into buying celebrity fragrances was the idea of wearing what their favorite celebrity was wearing or would wear. Britney Spears is the in the top ten selling fragrances in the U.S., with her perfumes accounting for 32% of all celebrity perfume sales ($23 Million to be exact). And yet she chose to quietly release her newest fragrance first in South America late last year. To illustrate my point, let's look at one of Britney Spears' fragrances that had a quiet launch: Rocker Femme. As far back as August 30th 2014, fans of Britney Spears fragrances were aware of the impending limited edition Rocker Femme Fantasy. Through social media U.S. fans learned that the fragrance was being sold in almost all of European stores. The U.S fans were not happy about it, and I for one didn't feel the same eagerness I did back in September of 2014 when I found out about the fragrance's coming. The social media posts that were leaking the art work seem like a scam There was zero marketing, no acknowledgement that this was real and no press release or official anything from Britney Spears, her management, or her representation. Suspense is an interesting strategy for a marketing campaign, but this fragrance solely relied on the obsessively devoted fan sites to spread the word and grow the interest. Fans who are hungry for something from their favorite pop star are reduced to salivating for 6 months, only growing tired of waiting. For 6 months the poster that was shared on social media was all that fans had before the fragrance came to U.S. stores. Some fans thought the poster was just fan made. What Rocker Femme shows is the strange unseen exchange between the people who run the fan sites and the team of the celebrity, where little crumbs are given to be distributed and shared with fans about a forethcoming fragrance. But why? Why the secrecy and going through untraditional channels, only for there to be no promotion whatsoever? After the successful launches of Spears' first two fragrances in the early 2000s, it has been clear that the Britney Spears brand is not concerned that their perfumes won't sell well. Still, some semblance of a marketing campaign would be considerate to fans and would definitely help with sales. Creating scarcity doesn't always render huge returns. Spears' team has been cultivating a careful mystique for her so that her image recovers from the PR fumbles of the mid 2000's, but instead the rarity of her appearances and the lack of investment in marketing or communicating information with fans is making her brand seem cut-off and not genuine. For a long time I didn't even know Halle Berry had a fragrance line because I didn't see any commercial for one of her fragrances. Maybe I was living under a rock, or just going to school and having a life. But no, I was not imagining this. The celebrity fragrance business is a bit of mystery or at least operates like a mystery machine, all to make extra money, when it should also be about building a legacy for the celebrity's brand. President of Zerodot, Jonathan Hoffman, whom I had the pleasure of getting to know during my internship at Starcom, stresses the importance of value based marketing, which essentially establishes that what brands "do" has become much more meaningful and valuable than what they "say." What about when they don't say anything? Well, it worked for Greta Garbo, but that is a unique case. I think in terms of marketing, celebrity fragrances need to target beyond teen girls, they should actually have a marketing campaign for each fragrance, and if they are interested in creating a mystique, why not do so with a digital media campaign? Having a new fragrance is an opportunity to be creative and show people the value of your brand. It introduces your brand to a new audience that might be unfamiliar, or changes the impression people once had of you. Perfumes and fragrance are a very intimate type of product, which benefit from emotional driven and innovative marketing approaches. Why not market your fragrance? Hell, even Kim Kardashian does a better job of it, at least she utilizes social media, apps, and her family's reality show to it's full potential. Why not I say? There's always the possibility that the celebrity might be ashamed for you to find out the fragrance is terrible. That's a whole other article that I'll leave to the scientists to examine further.